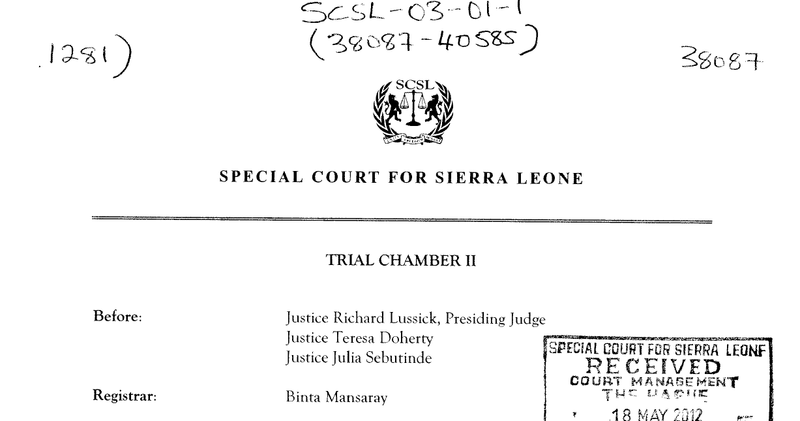 The April 26 judgment of the Special Court for Sierra Leone in Prosecutor v. Charles Taylor, about which a number of IntLawGrrls have posted, was finally published yesterday: 2499 pages in a non-searchable file of 30MB! It is the longest judgment of an international tribunal so far. We academics like searching through files to identify the legal issues of a judgment we are particularly interested in. The defense team would most probably also want to search keywords. 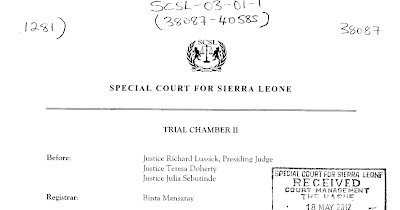 So would NGOs who might want to find out what the judgment says about particular geographic locations or specific individuals the NGOs may have worked with. Or journalists. Or people who are simply curious on a particular aspect of the judgment but who cannot read through 2500 pages. I thought at least we need a searchable file. So I gave it a try and converted the judgment with a text recognition software. It's available here. It doesn't look nice, of course, and the file contains many mistakes from the conversion and all the formatting is lost, but at least one can search for key terms. Nor does it change anything to the excessive length of the judgment. But I hope it at least alleviates the challenges a little bit, and allows people to find the parts of the judgment in which they are particularly interested.